What was she thinking? Who picked that outfit? Katy Perry just missed the opportunity of a lifetime because, I believe, those Sesame Street celebrity videos live on forever. Or maybe she hasn't missed it at all...maybe she's just enjoyed the biggest FREE media frenzy possible. What's the frenzy about? Why Katy Perry's choice of attire on her recent visit to the set of Sesame Street, of course. It wasn't totally scandalous but, in at least the opinion of some people, it was totally unnecessary. What do you think? Do you want your toddlers and preschoolers romping about, crawling around on the floor playing with a woman who is in this state of dress...or maybe I should say undress? Read more on Waxing-Lyrical's page, Katy Perry Inappropriate For Sesame Street? The shirt that Tom Selleck actually wore as Magnum P.I. is reportedly locked up in the Smithsonian Institute. However, it is possible to own your very own copy of it. 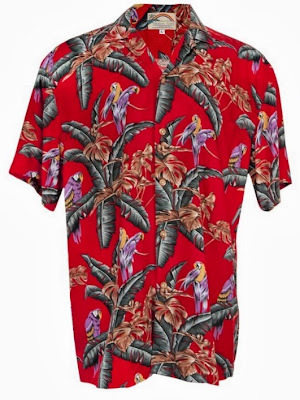 In the poll on my page, Magnum's Hawaiian Shirt, The Jungle Bird, 70 percent of the readers think that Magnum was HOT and almost 40 percent of the people were shopping for a shirt for themselves. 25 percent were buying it for the man in their life because HE loved the television series and 25 percent buying were buying it for the man in their life because THEY loved the television series. It would seem that Magnum was equally popular with the men and with the women but, no matter which camp you fall in, Paradise Found has made it possible for anyone who wants a Magnum P.I. shirt to own one. The Jungle Bird, as the Magnum shirt is known, is a perfect gift item for anyone who loved the 1980s series. Buy your very own Magnum P.I. Shirt from Amazon. Read my page about Magnum's Hawaiian Shirt, The Jungle Bird. I cannot speak highly enough about the Twilight Soundtrack. I love it! There are three songs that I just cannot listen to enough - Supermassive Black Hole, Eyes on Fire and Tremble for my Beloved. The Cullen’s invite Bella to attend one of their baseball games. It seems the only time vampires can play baseball is when it is storming. The reason is because vampires have so much strength that when they hit the baseball - it sounds like thunder hitting! During this scene, a song comes on by a group called “Muse” and they sing “Supermassive Black Hole.” It is an upbeat super song that I can almost guarantee will make you want to stand up and start dancing! Another fantastic song is by a group called “Blue Foundation” and they sing Eyes on Fire. In my opinion, this song brings out the intense connection between Edward and Bella. “Tremble for my Beloved” by Collective Souls is another fantastic song. They have a very unique sound and have been one of my favorite groups for a long time. Bottom line, the Twilight Movie Soundtrack will not disappoint you! Thanks, Eva, I’m off to check out the Twilight movie soundtrack. Visit WhiteOak50’s Twilight soundtrack review. 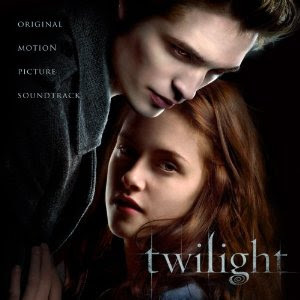 Order your copy of the Twilight movie soundtrack from Amazon. 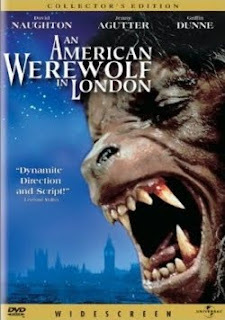 Are you searching for the best werewolf movie? Or maybe just a good one that will scare the pants off of you? Herewith, you will find six. Six of the best movies ever made about the wolfman. The best, as always, is subject to definition and for the purposes of this page, the best has been defined by an old Ottawa Citizen newspaper article and by the bestselling and top-rated werewolf movies on Amazon. For more information about each one of these movies and to view the movie trailer, visit The Werewolf, A Howling Good Movie Review List. 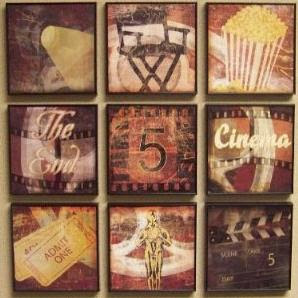 You will find all of these movies available and reasonably priced at Amazon where, if your order is $25 or more, they ship for free. The Werewolf, A Howling Good Movie Review List. If you have not seen Ponyo yet and you have young children or you are a fan of Japanese anime, you may want to check it out. You will recognize some of the voices, which include Noah Lindsey Cyrus, Frankie Jonas, Cate Blanchett, Liam Neeson and Tina Fey. The story is that of a young boy named Sosuke who plucks a barely living gold fish named Ponyo from the ocean only to discover that this fish is an extraordinary speciman who wants to become a princess. Their journey is one of friendship and exploration until, that is, Ponyo must return to the sea. Her desire to be human, however, has changed the balance of nature and the result is a gigantic storm. In the end, Ponyo's sea goddess mother is able to rebalance nature and help make her Ponyo's dreams come true. A beautifully done movie, based somewhat loosely on the Danish story about The Little Mermaid. The blu-ray? 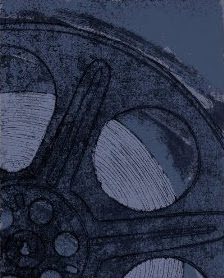 Experts say that they are generally happy with the blu-ray release but the one area of disappointment comes from the audio track. High-def fans might be disappointed. But Blu-ray.com said, "animation enthusiasts, Miyazaki zealots, and kids of all ages should add this to their cart post haste." 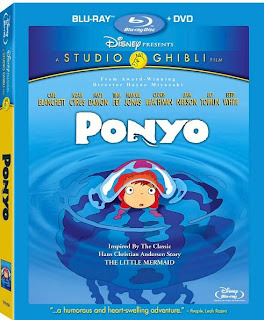 Buy Ponyo from Amazon on blu-ray or DVD. Read my complete Ponyo movie review. Although not the technologically advanced horror film of today, Universal Studios’ 1931 Dracula still leaves me with chills. The infamous Count, played by Bela Lugosi, travels to London and preys on his neighbor’s young daughter, Mina, played by a very young Helen Chandler. Directed by Tod Browning, Dracula is the movie version of the 1929 Broadway play, adapted from Bram Stroker’s novel. With only black and white filming available to him, Browning uses lighting, shadows and pointed close-ups to achieve one of Hollywood’s most classic horror films. Even with Browning’s direction and Bram Stoker’s story, it is Bela Lugosi who brings the title character to life, or should I say death? Hungarian Lugosi made chilling use of his accent. He lowered his voice, maintained rich tones, and slowed his speech to achieve the masterful and threatening Count Dracula. Lugosi immersed himself in his character and developed his own costume and makeup for the part. To this day, his portrayal is considered the quintessential Dracula. Thanks, Susan, I am not sure that I have ever seen Bela Lugosi's 1931 Dracula movie but now I am definitely curious. It sounds like Lugosi was instrumental in the development of Dracula as we 'know' him today. For my blu-ray movie fans, I went looking to see if Bela Lugosi's Dracula is available on blu-ray and it, unfortunately, is NOT. To see which versions of Dracula are available on blu-ray, you can click right here. Read more at Susan's page, Bela Lugosi's Dracula. Order your copy of Bela Lugosi's 1931 Dracula movie from Amazon.